On the eve of the New Year, people do not only celebrate and hope for the best. There are traditions and beliefs that help to understand what will happen next year, and whether your desires will be realized. Everyone believes that next year will certainly be better than the previous year. Whether you believe it or not, this divination can cheer you up and give you hope for the wonderful future that awaits you. 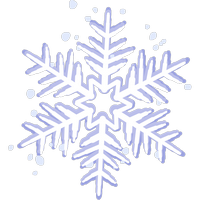 Click on the snowflake and get your prediction.